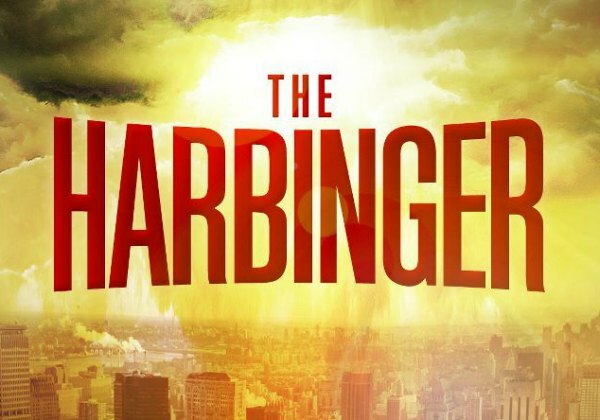 The Harbinger is a 2012 best-selling Christian novel by Jonathan Cahn that suggests that the 9/11 terrorist attack in the United States was a warning for them. The author connects the 9/11 attack to a section of Isaiah 9, which describes God promising to destroy ancient Israel for their continuous disobedience toward him and for avoiding the warnings He has sent them. When a book such as this one which is totally outside the box becomes popular, it invites criticism. And that is what happened with The Harbinger. But that doesn’t make the criticism valid. In this case, criticism is getting even wilder as time passes by. Bellow, you will find the most common questions among the readers about The Harbinger, and the author’s answer for each one of them. Question: Israel is not America, and God did not make a pact with us, did He? Answer: The book never says that Israel is America or that God made a pact with us. Instead, it says that the America’s founders created America after the pattern of ancient Israel and saw themselves in a pact with God. Question: Why conclude that God is providing extra-biblical revelation when the Bible was given once and for all to the saints? Answer: The book doesn’t state that God is providing extra-biblical revelation – unless you believe that God is unable to warn us, correct us and lead us. The book does say that God has the power to do all that. If God can judge us, He can also warn us. To think differently, you need to be unbiblical. Question: Did the author use extra-biblical, mystical writings as his sources? Answer: No. I used only one source for spiritual truth – the Bible. For me, the Bible is the only Word of God. Others may use quotes while writing from a variety of sources, but this should not be confused with relying on a source of spiritual truth – except the Bible. Question: Some people state that the author says that Zohar (an extrabiblical, mystical source from which the mystical and occultic Kabbalah is derived) greatly influenced his writing. Is that true? Answer: These are some of the statements that represent some of the wild opposition to The Harbinger. It is an extreme false accusation. Question: Does the book say that Isaiah is prophesying America? Answer: No. It says that the prophesier of Israel is Isaiah. However, the same biblical pattern, template, and progression of judgment that took place in the last days of Israel, is manifesting in America now again. Question: What is the book really saying? Answer: It is pretty simple. God is able to warn us in a way that is consistent than the one which is found in the Bible. It also claims that the biblical signs, progression, and pattern of public judgment that arose in the last days of ancient Israel, are now manifesting to America. Aside from revealing some biblical connections or mysteries, The Harbinger is also a call to salvation, repentance and revival.